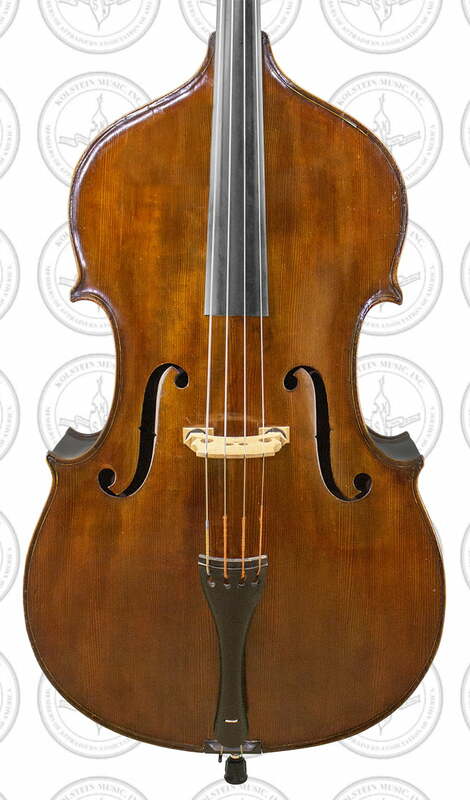 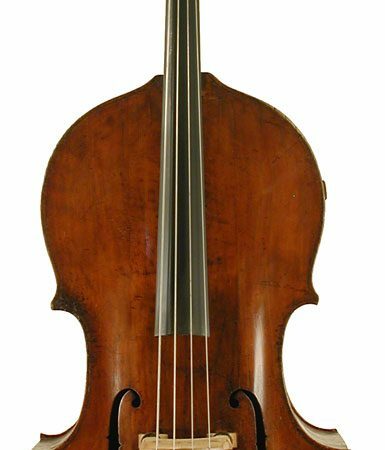 This Panormo model Bass Violin, was the first bass made by Samuel Kolstein . 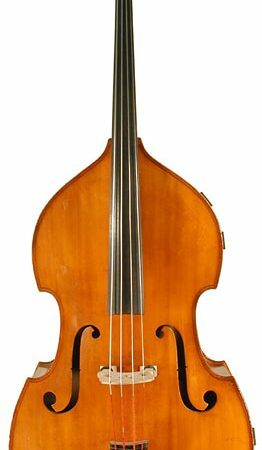 Originally made exclusively for the late Frederick Zimmermann, then acquired by Samuel Hollingsworth former principal of the Pittsburgh Symphony Orchestra and acquired by Jeffrey Turner upon his appointment to Principal Bassist of the Pittsburgh Symphony Orchestra. 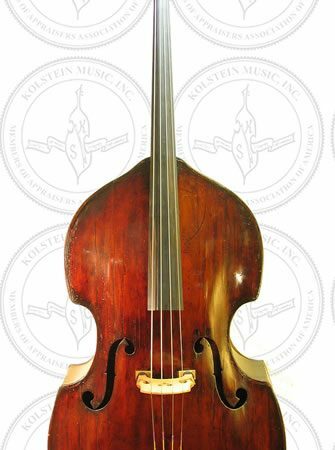 The bass was made in Samuel Kolstein’s shop located in Merrick, New York in 1964 and is so labeled within. 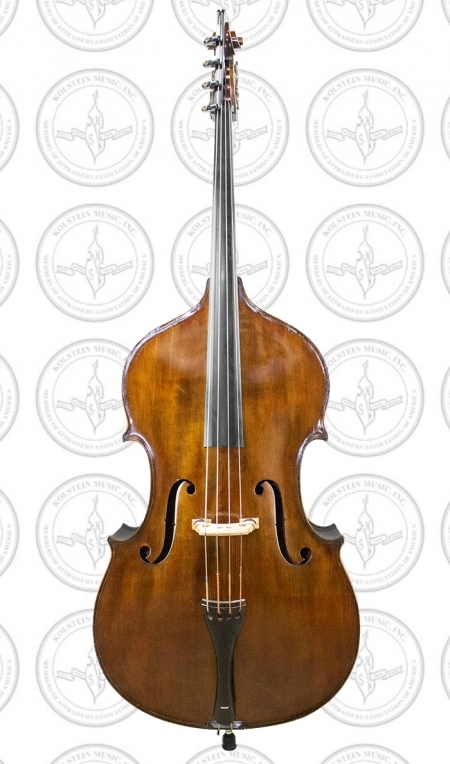 The instrument is a modified seven-eighth size, violin cornered Panormo model Bass Violin. 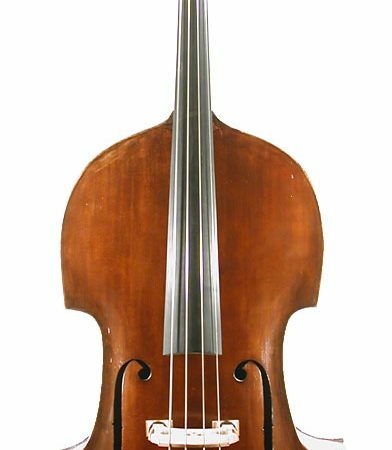 The top table is a two-piece plate of medium vertical grained spruce. 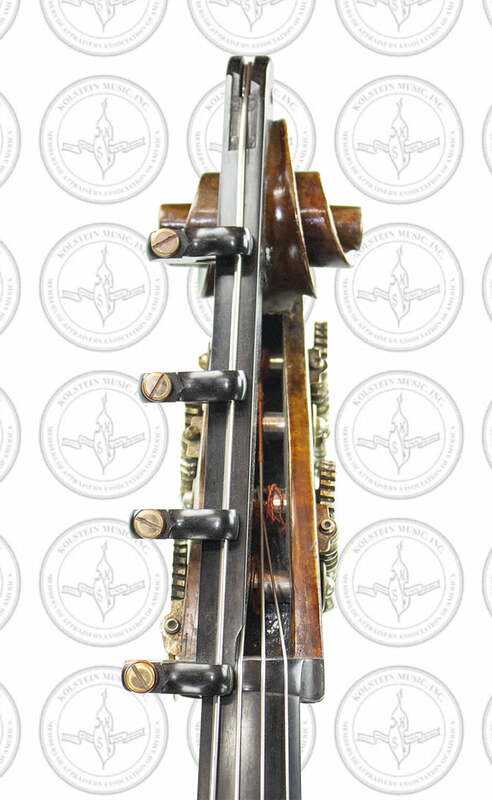 The back table is a two-piece plate of moderately flamed maple. 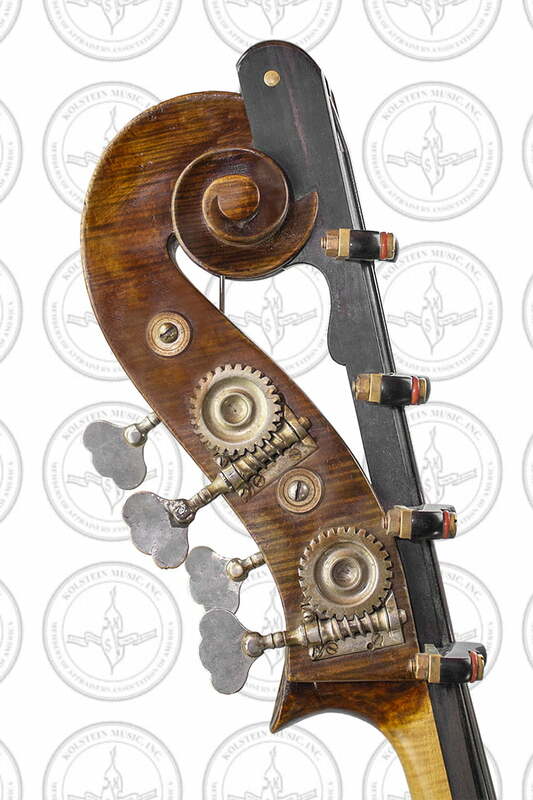 The neck and scroll are original of flamed maple with matching ribs. 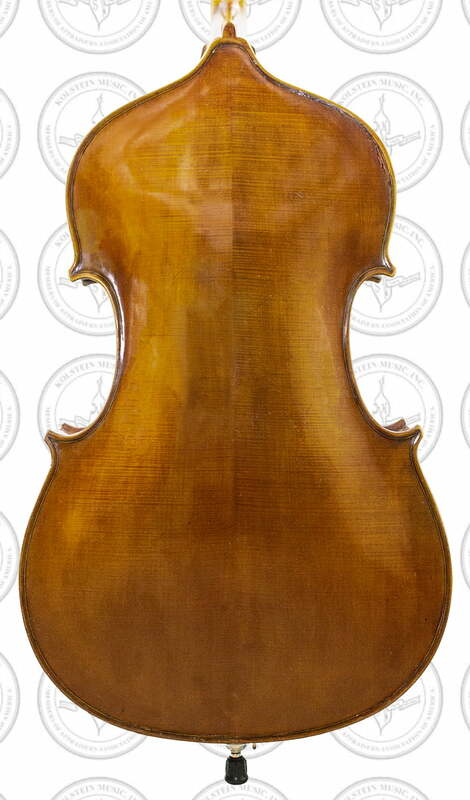 The color of the varnish is a deep brownish amber. 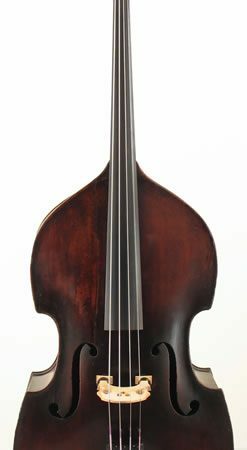 The bass is currently setup with a low C string extension.